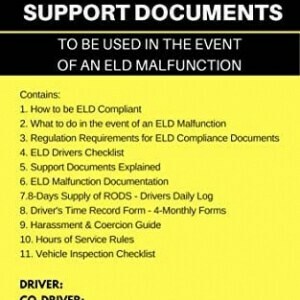 The BIT ELD makes meeting the brand new FMCSA ELD mandate easy and reasonably priced. There is no per 30 days fee for meeting the ELD mandate! Just download the free app from iTunes or the Google Play app store. You’ll even check out the app without buying an adapter. Installation is fast and easy: the adapter connects with only a quarter-turn for your vehicle’s diagnostics port. The adapter communicates with our app over a wireless connection. The electronics are encased and sealed in plastic for protection and ruggedness.